Does the latter matter as much today as it did before? 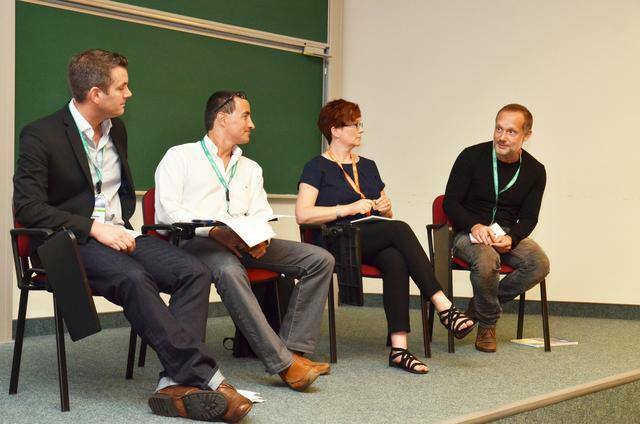 Will it still matter in a world of on-line courses? Is the role of the teacher changing? These were some of the questions discussed at the event. 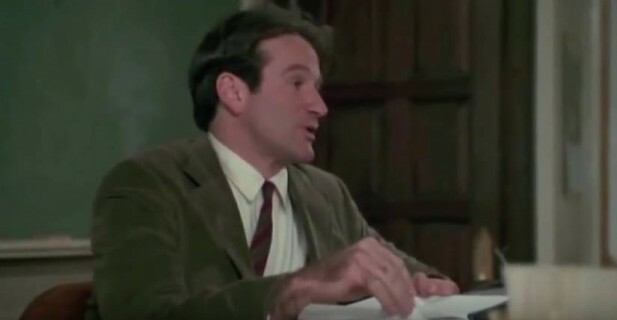 This is one of the most famous scenes from ‘Dead Poets Society’ [click here]. In it, teacher extraordinaire Mr Keating appears as the epitome of the charismatic teacher – one that his students are sure to remember long after their school years are over. Way over the top as this might be (though I am sure that, whatever we may say, many of us would love to feel we are a little bit like Mr Keating) it is only natural to ask ourselves: does the personality of the teacher matter in this Brave New World of technology and on-line courses? Of course, the teacher’s personality still matters a great deal. We have evolved to interact with people. The social aspect of our lives is the most important aspect of our environment (Lieberman 2013) (indeed, according to some, it is the reason why our brains are so large). Technology does not change human nature; instead, we change technology to adjust it to our evolved adaptations. This is why we have introduced emoticons; long before we became humans, facial expressions were an integral part of our communication system. They still are. Teachers differ and it may be that some are better suited to a particular teaching context than others. According to one typology, people’s personalities differ in 5 major dimensions: Openness to experience – Conscientiousness – Extraversion – Agreeableness – Neuroticism (OCEAN) (Paul Bloom [Lecture 13, 14:00]). It make sense intuitively that people who are high in the E and A dimensions may be better in a f2f context, while people who are perhaps more methodical, organised and systematic (high in C) might be better for on-line courses. Technology presents us with novel threats as well as novel opportunities. But how can we deal with the former and make the most of the latter? To answer this, we need to make a digression. So how can we influence people? There are 3 ways: a) We can motivate the elephant; this is what charismatic teachers do – they inspire their students, and this clearly works best in a f2f context. b) We can direct the rider – appealing to the logical part of our students and telling them what to do. This can work equally well in a f2f and an online context. 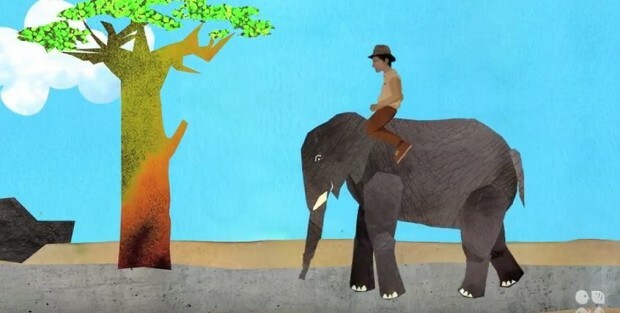 c) We can shape the path down which the elephant and the rider will walk (an idea first proposed by Heath & Heath 2011 – click here to watch a 2-min clip). By careful use of choice architecture (see Thaler & Sunstein 2008), we can ‘nudge’ the duo in the direction we would like them to go. * An on-line environment is ideal for such an approach. However…. … for teachers to be able to make the most of the opportunity this new reality offers, personality is not enough; regardless of how good our traits are, we also need a sound knowledge of human psychology. In this short clip Rory Sutherland says that the sweet spot in Economics lies at the intersection of Economics – Technology and Psychology [click here]. If we change ‘Economics’ into ‘Methodology’, Rory could have been speaking for ELT. And I believe Rory is 100% right when he says ‘The next revolution is not going to be technological; it’s going to be psychological’. * Here are some of the variables we can play with: Default settings / deadlines / sequencing of options / option popularity / modelling (e.g. sample essays-responses) / type of feedback / progress feedback / page design / course segmentation / rewards / level of student control. Research has shown that each of these has the potential to influence people’s choices. Bio: Nick Michelioudakis (B. Econ., Dip. RSA, MSc [TEFL]) is an Academic Consultant with LEH (the representatives of the Pearson PTE G Exams in Greece). In his years of active involvement in the field of ELT he has worked as a teacher, examiner and trainer for both teachers and Oral Examiners. His love of comedy led him to start the ‘Comedy for ELT’ project on YouTube. He has written numerous articles on Methodology, while others from the ‘Psychology and ELT’ series have appeared in many countries. He likes to think of himself as a ‘front-line teacher’ and is interested in one-to-one teaching and student motivation as well as Social and Evolutionary Psychology. When he is not struggling with students, he likes to spend his time in a swimming pool or playing chess. 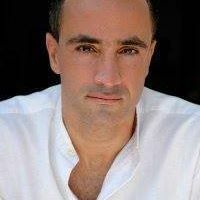 For articles or handouts of his, you can visit his site at www.michelioudakis.org. You say: “The social aspect of our lives is the most important aspect of our environment (Lieberman 2013) … Technology does not change human nature,” and you give us an authoritative reference for the first claim, but not the second. Could you give us a reference, please? Where is the proof that technology does not change whatever might be meant by the term “human nature”? The first claim implicitly acknowledges the influence of the environment, and acknowledges that within that environment the role of flesh and blood individuals is paramount. But what happens as that environment becomes more and more artificial, and more and more saturated with technology – a technology that spreads towering walls of impersonality across the cityscape, and one that dwarfs the individual – an individual who, on his mother’s knee felt himself to be the centre of the world, but at the foot of the skyscraper or trapped in a traffic jam, or lost in the labyrinth of the technocracy knows that, in truth, he is nothing. Of course, if you legislate at the outset that “human nature” will be whatever remains constant in the hitech city and the lowtech peasant hovel on the hillside, then nothing is seen the change. But that is the scientific equivalent of playing with loaded dice. Leave a Reply to Torn Halves Click here to cancel reply.